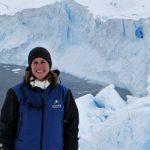 Aurora Expeditions, a world leader in expedition cruising and Australia’s only home-grown polar exploration specialist, has expanded its marketing and sales teams with six new appointments, as it prepares for a momentous year with the launch of the new state-of-the-art vessel, the Greg Mortimer, in October 2019. 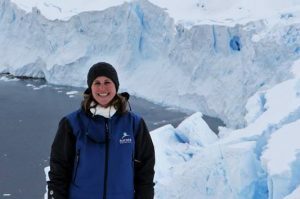 Joining Aurora Expeditions with over 13-years’ marketing experience, Victoria Primrose has been appointed as Global Head of Marketing. Leading the company’s marketing strategy, Victoria’s background includes roles at several global companies, including Johnson & Johnson, Lindt and UK comparison site moneysupermarket.com. Prior to joining Aurora Expeditions, Victoria was a director at MacMorgan Next Practice Marketing consultancy, where she consulted for various companies including Shopper Media Group. Victoria will leverage her extensive consumer marketing skills and experience working internationally to help drive customer engagement and enhance the customer experience at Aurora Expeditions across key markets, including Australia, UK and the USA. Deeply committed to unlocking the world’s wildest and most remote destinations, Aurora Expeditions has created three new roles within Victoria’s team to help drive awareness of the brand’s adventurous spirit and recruit the next generation of expeditioners. Martha Behan joins Aurora Expeditions from Tourism Ireland as Consumer Marketing Executive, Alesa Matis from Globus family of brands as Sales & Marketing Coordinator, and Sary Oum from custom software development company Solentive as Digital Marketing Executive. Robert Halfpenny, Managing Director of Aurora Expeditions said the new appointments mark an exciting time for the company. “The coming year is set to be one of the most monumental in Aurora Expeditions’ 27-year history, and it’s important we have the right team to carry our legacy into this promising future,” said Robert. Aurora Expeditions has also expanded its international team with the appointment of Ross Avenell as Inside Sales Trade Executive, North America, and Karen Hollands as Inside Sales Trade Executive, EMEA. Ross and Karen will be responsible for growing the Aurora Expedition brand in their respective regions. “We warmly welcome our new team members and look forward to setting a new standard for expedition cruising here in Australia and around the world, while continuing to provide the authentic, small group adventures we are renowned for,” Robert concluded. 2019 will mark a new chapter in Aurora Expeditions’ proud history, as it redefines expedition cruising with the launch of the Greg Mortimer, the first expedition cruise ship featuring the patented ULSTEIN X-BOW®. This innovative technology enables more gentle sea crossings and faster transit speeds, along with lower fuel consumption and air emissions. Construction of the new, purpose-built ship is progressing ahead of schedule, with the maiden voyage set to depart Ushuaia, Argentina on 31 October, 2019. Berths are still available on the maiden voyage to be hosted by Aurora Expeditions’ founder and well-known Australian explorer and mountaineer, Greg Mortimer OAM.